At the beginning of the month, Ford announced it would be shutting down its Chariot shuttle service, the mobility startup the automaker purchased $65 million back in 2016. 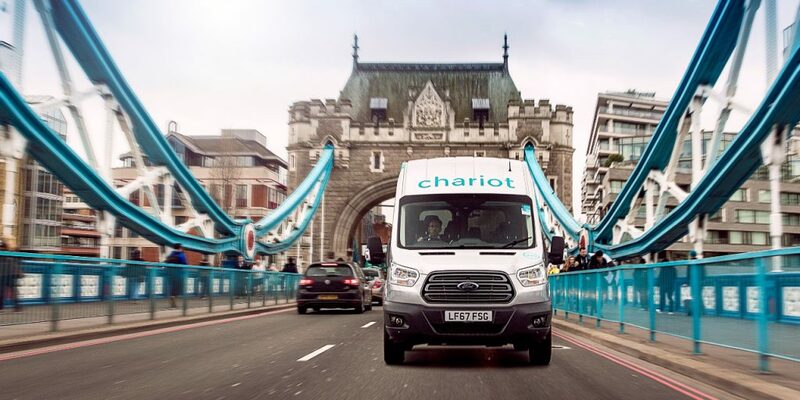 Ford didn’t immediately say why it was ending Chariot’s transit services, although rumors say the Ford Transit vans it used to ferry passengers around were usually empty. According to TechCrunch, the 25 Chariot vans in New York City were serving 1,000 riders per week, equivalent to just nine per day. That would count as a busy week for Chariot in NYC, too. A lack of riders wasn’t the reason why Ford pulled the plug on Chariot, though. According to Ford CEO Jim Hackett, the automaker abandoned the project due to the lack of regulatory framework for such app-based ride hailing services. Ford said the data it gathered from Chariot, mostly that related to how riders used the service to plan their daily trips, Bloomberg says, will be used to develop and advance future projects for Ford Smart Mobility which is the automaker’s forward-looking mobility subsidiary. Ford Smart Mobility recently acquired scooter app Spin, a competitor to Bird and Lime. Other new Ford Smart Mobility projects include Ford GoBike, a bike-sharing service in the Bay Area, and Ford Car Sharing in Europe. Ford Smart Mobility also owns Argo AI, an autonomous car development firm that hopes to launch an Uber-style autonomous ride hailing service by 2021. Chariot was the first mobility company acquired by Ford Smart Mobility. The subsidiary company, which was started to evolve Ford’s business and make it less dependant on consumer car sales, lost $300 million in 2017. This was a great service. The problem in NY is that it wasn’t marketed or advertised. No one knew about it. It could have been a huge money maker. I’m hoping another company picks it up. Ridership was picking up little by little due to word of mouth. A little advertising would put it over the top! Ford should be in the business of building great vehicles. Not rolling the dice on unproven ventures (like scooters and ride sharing). “Lack of regulatory framework”? lol…. people weren’t riding and Ford was losing money. General Electric has already paved the way in showing the risks of being everything to everybody. I would like to see Ford avoid reinventing the wheel of conglomerate failures. Ford is too important to buy into everyone else’s flaky idea of how to be green. An electric power F-150, that is a much better fit. But if you must spend $65 million to buy another’s idea, add a few million more in advertising to make it succeed with the target audience for such services. Congestion in cities is a real reason for services like Chariot. I also was an avid user of this service. Living in Greenpoint there aren’t a lot of direct Midtown routes like the one this offered. I’m sad to see it go. I also agree with the previous comment that it wasn’t marketed properly to the neighborhoods it served.